Having plastic in your wallet is almost a necessity these days. Not only is it convenient to be able to swipe or tap to make a payment for your everyday purchases, but some retailers require it. This sounds like a no-brainer, but it really is important to realize that this type of card has only one, very specific purpose. It’s used to take out cash, and nothing more! Since the ATM card needs to access cash, it’s tied directly to the checking or savings account at your banking institution. If you don’t have an ATM card yet, it’s wise to ask for one. There’s no way to “float” funds with this type of card. Money is debited in real-time the moment you access the cash. Not a fan of fees? Unfortunately, most cash withdrawals will come with a cost. Sometimes, you can actually incur two fees: one from your financial institution and one from the owner of the ATM machine (if they are not the same). You’ll need your PIN (Personalized Identification Number) to complete your purchase. This is usually a 4-digit code that you want to make sure to memorize — and don’t ever write it anywhere on your debit card. Debit cards are tied to checking accounts, and you’ll see your funds deducted immediately upon making the purchase. If you don’t have enough cash in your account to cover your purchase, one of two things may happen. Depending on what authorization you’ve given your bank, you may be approved for a purchase to go through, which will be subject to the bank’s discretion and overdraft fees. If you do not have authorization for these purchases to be approved, expect the cashier to let you know that your card has been declined. Another option is to link your card to a checking account that has a savings account for overdraft protection. This may still result in fees, but will guarantee purchases go through, as long as there’s enough in your savings account to roll over. Though you can run your debit card as credit, you are still using your own money to pay for the purchase, unlike a credit card where you’re using the bank-issued line of credit, which we’ll help explain in the third key difference. While credit cards appear very much like debit cards and ATM cards, they have a very different impact on your bottom line. Credit cards, unlike most debit or ATM cards, are the same as taking out a loan and require a bank or lending institution to review an application and approve you for creditworthiness. If you would have a hard time getting a loan, you may not be able to get a credit card. Just the act of applying for a credit card can affect your credit. When the financial institution pulls your credit report, your score can take a small, temporary hit. Too many applications can have a significantly negative outcome for your credit history. Having the right card, however, can set you up with the opportunity to make payments on time, increase your limits, and show creditworthiness. All of these will raise your score and make you eligible for even bigger and better card offers. There are added consumer protections that credit card holders may qualify for, including extended warranties and travel insurance. They also offer the best protection against fraud, and you will find credit card companies to be very helpful if you ever have to dispute a charge based on faulty or unacceptable service or product performance. While some banks are starting to offer small cash-back rewards for debit card usage, credit cards are still mostly responsible for the best perks and offers. Cash-back, frequent flyer miles, hotel stays, and big discounts can be given for responsible purchases and on-time payments. Before you go thinking that you could not possibly qualify for a credit card, it’s wise to check cards that are specific to your level of creditworthiness. Everyone has to start somewhere, and there are now credit cards available for all levels of credit, including no/limited credit, bad credit (<640), good credit (640-720), and excellent credit (720+). Deciding whether to get an ATM, debit, or credit card is a very personal decision that will be made by looking at your own needs for purchases. 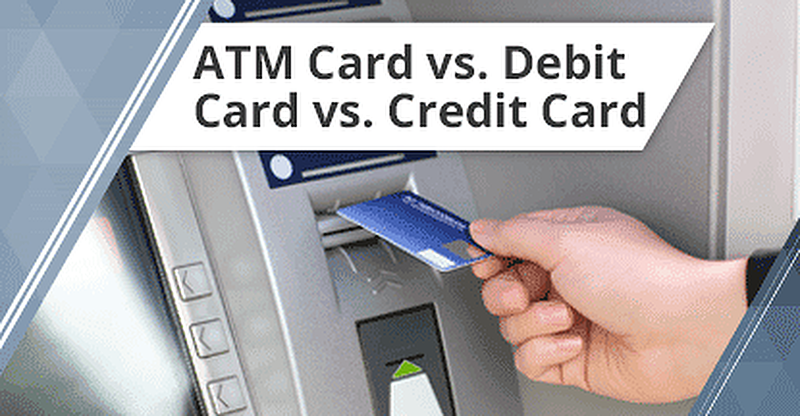 If you will simply need to take cash from your own account, an ATM card will likely do. Flexibility with purchases at most retailers will require at least a debit card. 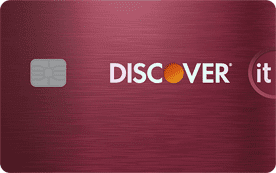 For those who need access to additional funds, credit cards are the only way to go. As each has its own perks – and responsibilities – it’s best to be honest about what you want, but also what you can handle. Linsey Knerl is a finance author and public speaker with a passion for helping everyday families earn more and live better. Her work can be seen in Investopedia, PC Mag, The Christian Science Monitor, TIME, Wise Bread, Next Avenue, MSN Money, and numerous other leading outlets. Her expertise lies in business economics, credit scores and reports, and saving and budgeting. Linsey has shared her financial knowledge with audiences at SXSW, FinCon, and the ASJA annual NYC convention.